How do children and adults benefit from neurofeedback training? This training procedure has been shown to increase the ability to pay attention, focus and concentrate. 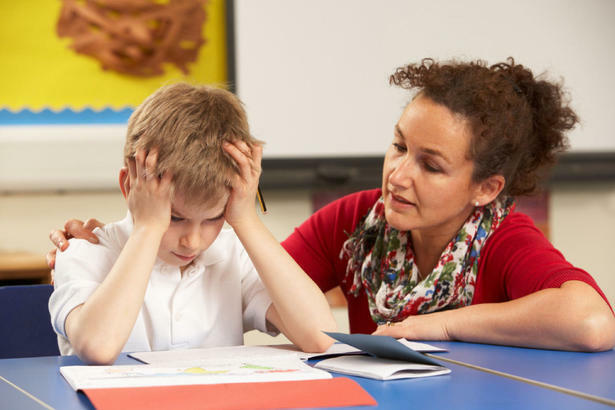 Studies have demonstrated that students with Attention Deficit Disorder who have completed this training have also shown significant improvements in classroom performance. Dr. Joel Lubar, the originator of these training procedures, reported that 80% of the first 250 children they worked with demonstrated grade point average improvements of approximately 1.5 levels. I.Q. scores on the WISC also show significant improvement. Everyone’s brain produces electricity and brain-waves of different frequencies are associated with different mental states. People with attentional problems produce an abundance of slow waves and less fast wave activity. A sudden burst of slow wave activity – Alpha or Theta – in the middle of a task may indicate that the individual is tuned out for that moment in time. Tuning out and day dreaming are reduced by training to decrease slow waves (Theta). Fidgeting and hyperactivity are controlled by training to increase a type of Beta called sensorimotor rhythm (SMR). Concentration is improved by training to increase fast wave activity (SMR or Beta). What does the student do during the 50 minute training session? A trainer works individually with each student. There are a variety of EEG feedback programs available at Zone Performance. With each of them the student sits in front of a computer screen and receives visual and audio feedback. This feedback gives positive reinforcement to the student and trains the student to: relax increase alertness focus concentrate stop fidgeting decrease an impulsive approach to tasks During each training hour the student has opportunities for combined visual and auditory feedback. Other periods of time during the training session are used for audio feedback combined with academic tasks such as reading, mathematics and other subjects. These sections of the training session may include listening, reading and written work. The student is taught metacognitive learning strategies, study skills and time management. At the end of the session the trainer review the scores and graphs which show how well the student was concentrating during each part of the training session. excessive Theta brain wave activity (EEG). Neurofeedback is a non-invasive, learning approach that directly influences activation of the brain by rewarding decreased production of slower waves (Theta) and increased production of fast wave activity. This pattern is associated with brain activation and positive response to intellectual tasks and the person is able to see their brainwaves on a computer screen. There are many different feedback screens which can be selected. Young children may select puzzles and mazes while adults often prefer gauges and displays that give quantitative data. Children enjoy taking home printouts of their brainwaves and demonstrating to how they are learning to control them. They can compare this training to that of a gymnast or a martial arts expert. The skill must be practiced until it becomes automatic (unconscious). In addition to acquiring self regulation of brain waves, the students receive instruction in metacognitive strategies – thinking processes involved in learning how to learn and remember. Older students are taught time management and study skills. These skills are learned more rapidly and thoroughly when they are taught in combination with neurofeedback. No. Medications have an advantage in that they act immediately. They can be very useful and helpful with some children to control disruptive behaviors which might otherwise cause negative reactions and a lowering of their self esteem. Medications, however, act only while they are at sufficient dosage level in the blood stream. Dr. Swanson’s team at the University of California, Irvie, summarized their usefulness “(1) a short term benefit for the management of behavioral symptoms of inattention, impulsivity, and hyperactivity; and (2) a lack of demonstrated long-term effects on learning, achievement, or social adjustment”. Neruofeedback takes much longer to produce change (2 to 6 months) but appears to give long term benefits in all the key areas of attention span, impulse control, academic achievement and social adjustment. Yes. ADD symptoms do not necessarily go away as a person gets older and adults benefit from neurofeedback training to the same extent as children. They can achieve long term improvement in attention span, impulse control, reading, listening skills, and time management. In addition, many adults also want assistance with stress and tension. For decreasing tension, neurofeedback of brain waves can be combined with biofeedback. With EEG training the child is empowered to take control of both attention and concentration. There are none of the side effects associated with medications. Training helps attention to be maintained when the person chooses; for example, during the evening study hours when medications, if used, may interfere with sleep. Training also is a step towards not requiring medications in order to concentrate on one’s work in future years. Training takes approximately 40-60 sessions depending upon the severity of the disorder. Frequency of training is usually twice per week for a period of at least 5 months. Each training session lasts approximately 50 minutes. Condensed schedules are available, especially during the summer. Progress can generally be noticed after about twenty training sessions. Changes in behavior in the classroom can usually be noticed after 2-4 months of training. Are standardized tests used to help evaluate progress? Yes. Standardized intelligence and academic testing is done before a child begins training and after training has been completed. Standardized computerized continuous performance tests are also used. EEG training for attentional problems has been used for more than 20 years. Improved instrumentation in the last few years is allowing the procedure to be more widely utilized. The feedback techniques used at the ADD Centre have evolved from those developed by M. Barry Sterman, Ph.D. (UCLA) and Joel Lubar, Ph.D. (University of Tennessee). More than 700 centres provide neurofeedback in North America, Australia and Europe. In Canada, research and training has been carried out at the University of Alberta since 1991 through their Cognitive Re-regulation Program. The programs at the ADD Centre reflect the Director’s initial training with Dr. Lubar in Tennessee and subsequent training with Dr. Sterman in California, Dr. Fitzsimmons from the University of Alberta and with other neurofeedback practitioners in California, Arizona and Florida. Our training is not a medical procedure and is not covered by Alberta Health Care. Some parents have been able to be reimbursed by some of the private insurance companies for a portion of the fees. Some insurers request a diagnosis of ADHD by the Family Practitioner. Yes, absolutely. Multi-modal approaches are recommended for children with ADD. Neurofeedback may improve your child’s response to educational interventions, behavior management strategies, and individual and family therapies. Good nutrition should always be practiced and some children have special dietary needs and sensitivities. Neurofeedback can be combined with medication. Children who are on medication when they begin neurofeedback training continue with their dosage until their parents, in consultation with their physician, determine that the dosage can be reduced as training takes effect. Why aren’t these procedures better known? These procedures require (1) extensive post-doctoral training and (2) expensive sophisticated equipment that only became available for office practice in the early 1990’s. The techniques have been researched at University Centres for more than 25 years. Every time we learn, we alter brain blood flow, chemistry, and connections. In neurofeedback (EEG Biofeedback), the speed and efficiency of learning is aided by the fact that the feedback comes to the student faster than he/she can move to their next throught.